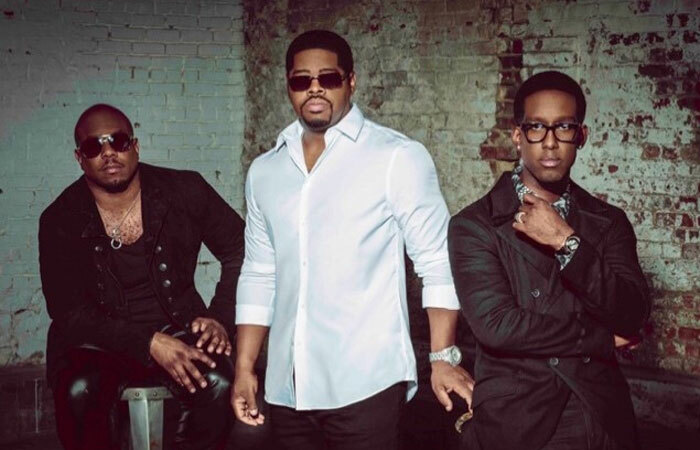 US R&B group, Boyz II Men will be returning to the UK stage with three consecutive dates. The exclusive UK tour, will see the greatest R&B group of all time perform live on Friday 5th April 2019 at the O2 Academy in Birmingham, with an extra date added on Saturday 6th April 2019 at the O2 Apollo in Manchester and the finale night on Sunday 7th April 2019 at the Eventim Apollo in Hammersmith, London. Exploding onto the scenes in the mid ’90’s and greatly acknowledged as the most commercially successful R&B group of all time, Nathan Morris, Shawn Stockman, Wanya Morris and Michael McCary took the world by storm with their soulful new jack swing and R&B sound. Releasing their platinum selling debut album ‘Cooleyhighharmony‘ produced by New Edition singer Michael Bivins in 1991, the new jack swing turned R&B group scored huge success with four Top 5 singles including their debut single ‘Motownphilly‘, followed by ‘It’s So Hard To Say Goodbye To Yesterday’, ‘End Of The Road’ and ‘In The Still Of The Night’; earning the group international success with over 10 million records sold. Their follow up R&B influenced album titled ‘II’ released in 1994 was widely received, making it the third best-selling album of 1985 with over 12 million copies sold in the US only and reaching Top 20 in the UK charts. Long charting number one singles such as ‘I’ll Make Love To You’ and ‘On Bended Knee’ continued the quartet’s worldwide success with hits ‘Thank You’ and ‘Water Runs Dry’ reaching the top 20. The group’s third studio album ‘Evolution’, produced by musical geniuses Babyface, Jimmy Jam and Terry Lewis plus hip hop mogul Sean ‘P. Diddy’ Combs in 1997, earned the R&B group their third number one selling album with a top 20 position in over 10 countries, selling four million copies worldwide. The lead single ‘4 Seasons of Loneliness’ became Boyz II Men‘s sixth platinum selling single, with their second single ‘A Song For Mama’ serving as the theme song for the 1997 box office hit film ‘Soul Food’. Boyz II Men continued to produce nine successfully selling albums over the next 18 years with records like ‘Nathan Michael Shawn Wanya‘, ‘Full Circle’, ‘Throwback Vol 1’, ‘The Remedy’, ‘Motown: A Journey Through Hitsville USA’, ‘Love’, ‘Twenty’ to their last studio album ‘Collide” in 2014; releasing popular hits throughout such as ‘Pass You By’, ‘Thank You in Advance’, ‘The Color of Love’ and ‘Better Half’. With over an unprecedented 30 years of pioneering hits, 12 studio albums, solo success, plus collaborating with some of the music industry’s notable pop and R&B music stars from Mariah Carey, Michael Bublé, Patti LaBelle, Babyface and Charlie Wilson; the legendary trio will return to the UK for the most anticipated concert of 2019. Tickets will go on sale on buy augmentin where can i purchase antabuse today Friday 9th November 2018 and start from £32.